Radiological Awareness Training will prepare you to work safely on radiologically contaminated sites and around radiological hazards, an on safe working conditions, acts and proceedures. 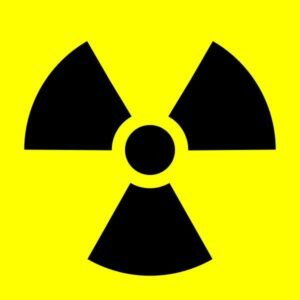 Radioactive contamination, also called radiological contamination, is the deposition of, or presence of radioactive substances on surfaces or within solids, liquids or gasses (including the human body), where their presence is unintended or undesirable. Such contamination presents a hazard because of the radioactive decay of the contaminants, which emit harmful ionizing radiation such as alpha particles or beta particles, gamma rays or neutrons. The degree of hazard is determined by the concentration of the contaminants, the energy of the radiation being emitted, the type of radiation, and the proximity of the contamination to organs of the body. Upon completion of this training, you will receive a wallet-size Ticket/Certificate that will show prospective employers that you have the right credentials. We keep your records on file permanently. Feel free to have your prospective employer contact METI to confirm your Radiological Awareness Certificate. Back to our Safety Training.